Other Products by International Protein. Search other Protein Powder products. 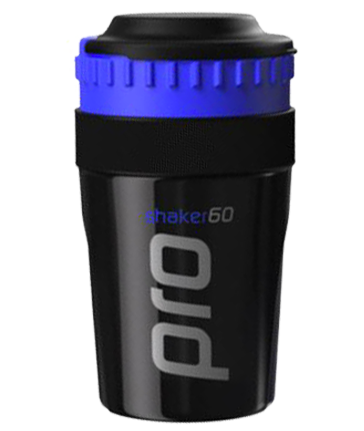 · 35.3g protein per 40g serving! 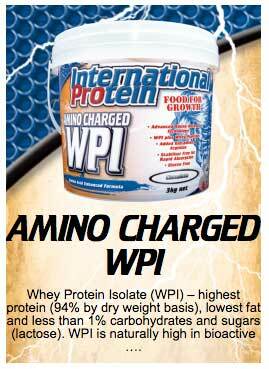 International protein WPI contains the highest bioavailability protein source: whey protein isolate. What is bioavailability all about? Well, bio refers to biology and our body. And availability refers to the quantity of amino acids actually make their way into the cell, where we need them. After all, this is why we take protein. We want the amino acids to end up supporting cellular structure and function. Ideally, we want 100% of the amino acids to end up being taken up by the cell. And if its muscular adaptation or growth you seek, then you certainly want as many of these amino acids as possible to end up actually inside your muscle cells. International Whey Protein delivers on their promise of high quality nutrition, with whey protein isolate and hydrolysed whey protein isolate. Hydrolised whey protein—whey peptides—is basically a whey protein that has been hydrolised. Hydrolysis is the cleaving of peptide bonds, which join amino acids together, leaving more free form amino acids, dipeptides (2 amino acids joined) and tripeptides (3 amino acids). This leads to faster digestion time and elevation of blood amino acids. So the nutrition will quite literally get to your muscles faster. On top of this, it makes for less of a digestive burden, as the hydrolised protein is pre-digested. Less work for your stomach and digestive organs can be a great thing if you are on a high calorie diet, or if you are prone to gastrointestinal upsets, like bloating or indigestion. 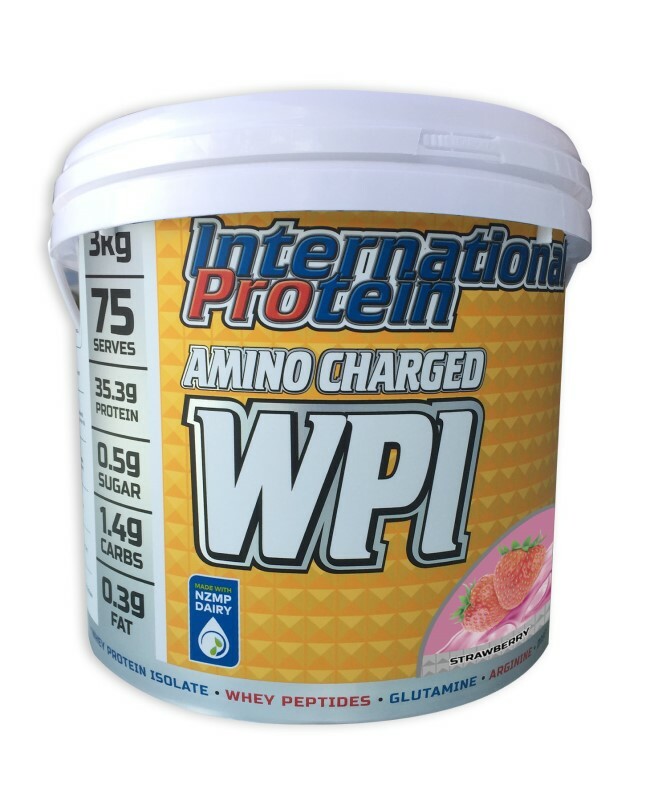 International Protein WPI is the perfect blend of high bioavailability whey protein, with the added benefit of tasting awesome and coming in a range of enticing and interesting flavours, such as cookies and cream, turkish delight and caramel popcorn. That's right, it's not a typo—caramel popcorn. Scientific research has been quite prolific over the past few decades, as interest in the importance of amino acids—particularly essential amino acids—is growing exponentially. International Protein Amino Charged WPI contains all nine of the essential amino acids, including histidine and the branch chain amino acids, isoleucine, leucine and valine. Evidence is quite clear that whey protein is effective at stimulating muscle protein synthesis well above a normal baseline 1. This means that essential amino acids are making their way into muscle cells and stimulating an anabolic response 2. Now, anabolic does mean building, which can be quite a misunderstood term. If your goal is to not put on muscle size, you may be thinking that whey protein is not for you. 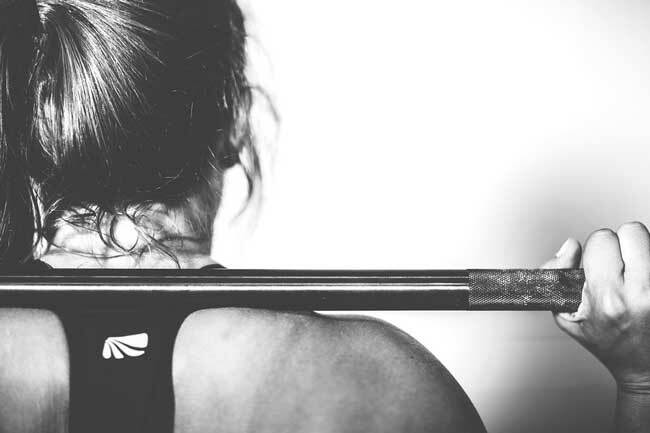 However, it is important to remember that extreme muscle size gains are difficult to attain and do require a lot of heavy lifting, constantly. So, if you aren't training like a bodybuilder, odds are you aren't going to create a great deal of muscle growth. Also, muscles only get bigger when the growth signals outweigh breakdown signals. If you are breaking down muscle as fast as you are building it, your muscles won't get bigger. And this is okay—if you're not a bodybuilder or power athlete—as we need a good amount of muscle protein turnover (anabolism plus cataboilism) in order to keep this tissue healthy. It can be compared to removing old worn bricks from a home and replacing them with fresh new ones. International Protein WPI is one of the few products that actually delivers a decent serving size, with 35.3 grams of protein per 40g serve, as well as added glutamine and l-arginine. Many whey protein powders contain only 20-24 grams of protein per serve. Research into muscle protein synthesis recently demonstrated the beneficial effect of 40 grams of whey versus 20 grams, regardless of the amount of muscle mass that the individual holds 3.
International Protein Amino Charged WPI truly is a quality product, making no excuses for providing unsurpassed quality nutrition in a convenient range of sizes and flavours to suit even the most discerning palate. Where is International Protein Made? International Whey Protein products are made at Ormeau, QLD. They have one of the best reputations for ethical manufacturing practices, and deliver on the promise of true-to-label. Their facility is owned and run by food scientist Christine Envall, who is a 3 times overall World Champion and Australia's only IFBB Professional Female Bodybuilder. This truly is a company you can trust. Mix 40g with 200ml-300ml (6.7oz- 10oz) of cold water or milk in a blender. Take 2-3 times in a day. May be had early in the morning, mid-morning or/and mid-afternoon, before going to bed or post workout to support muscle recovery and muscle tissue adaptation. Athletes, including elite athletes; people on high protein, low carb diets; men and women with active lifestyles; people on weight management programs; and those who are allergic to wheat/gluten or suffer from coeliac disease. For a Whey Protein Isolate with extra fat burner advantage, check out this link. International Protein WPI INGREDEINTS: Whey Protein Isolate, Flavours, Hydrolysed Whey Protein Isolate (Whey Peptides), Cocoa*, L-Glutamine, L-Arginine, Chocolate Flake (1%)#, Natural Colours (Beetroot Juice Powder~, Curcumin'', Annatto Extract^, Caramel^, Vegetable Carbon Black^), Sweetener (sucralose), Emulsifier (Soy lecithin).